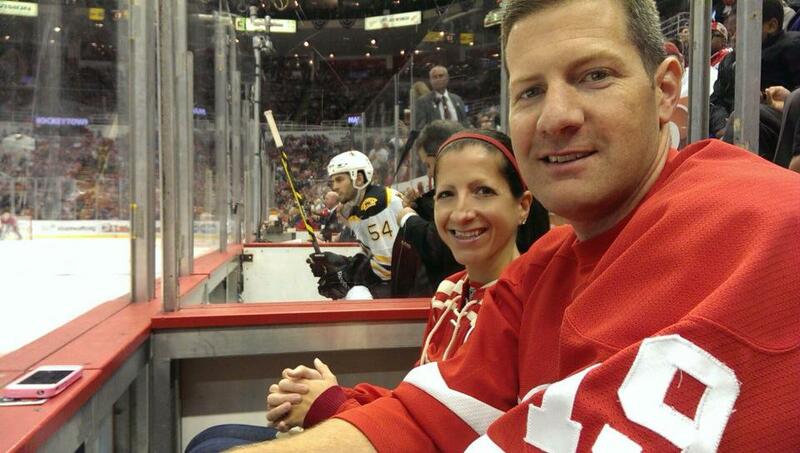 After a wonderful weekend (almost week), filled with travel, hockey (that’s right, I’m a Red Wings fan), family, and a wedding, I have to say that it’s very relaxing to be home! I’m definitely the type of person who enjoys getting back into my normal routine and going back to work. It might have taken me a day or so to readjust to things, but I did. For anyone who’s interested, let me share a little bit about my weekend; which did include some physical activity. Hopefully you were all able to get a little in too! 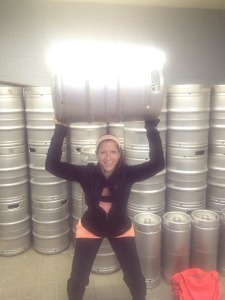 Our friend is opening a brewery in Grand Rapids, and I love a good squat challenge! I also did some running. Now, back to my week. It really all began last Wednesday, when Jeff and I packed up and flew to Grand Rapids, Michigan. The reason we were heading up North was to celebrate his older brother’s wedding. The weather may have been a little chilly at times, but the wedding itself was beautiful, and I wish Greg and Lori a lifetime of happiness. We also really enjoyed being able to see family and friends at the wedding that we haven’t seen in quite some time; mostly due to living so far away. I’m sure that everybody says this, but our trip went by extremely fast. Most of this had to do with the fact that we were both involved with the wedding. 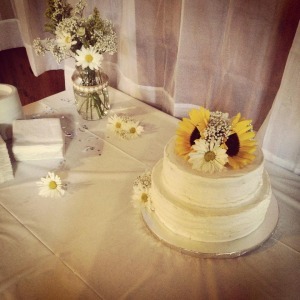 Jeff was the best man, and I made the wedding cake. Believe it our not, one of my hobbies is actually baking cakes for people. I’m very aware that personal training kind of contradicts this hobby, but what can I say, it’s something I love to do. Now that I’ve tempted you with a picture of my most recent cake, I’ll say that I hope to see some of you at the gym very soon! Hi there, I discovered your web site by means of Google whilst looking for a comparable subject, your site got here up, it seems good. I’ve added to favourites|added to bookmarks.